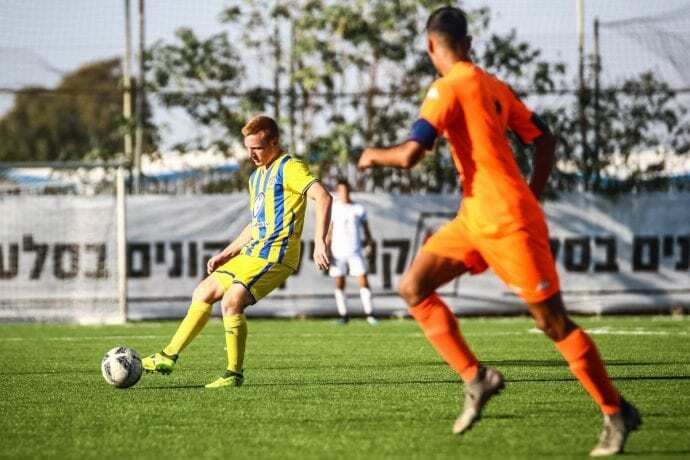 This Wednesday Maccabi “Shachar” Tel Aviv will face Czech Republic squad Sigma Olomouc in the second round of UEFA Youth Champions League action, however, ahead of the continental clash, the Under-19 side played Bnei Yehuda on the Petah Tikva synthetic pitch due to the winterization of the host’s home field on Matchday 10. 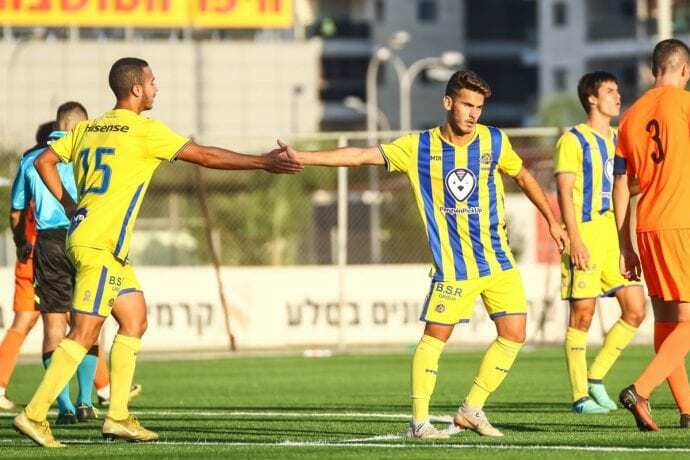 Maccabi entered the day in second place just one point off the top of the table, while Bnei Yehuda sat in 8th place. 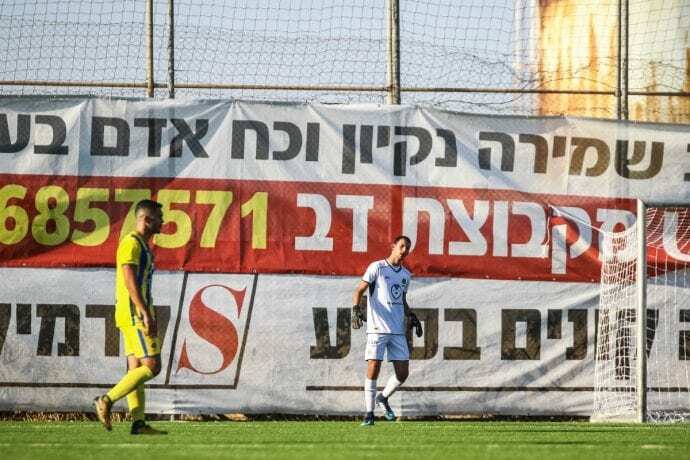 Head Coach Guy Tzarfati’s Starting XI included keeper Or Itzhak, Michael Chilaka, Alon Shtrozberg, Amit Glazer, Dan Lugassi, Ido Shahar, Mufleh Shalata, Yoav Hofmayster, Eduardo Guerrero, Bar Cohen and Eyal Hen. 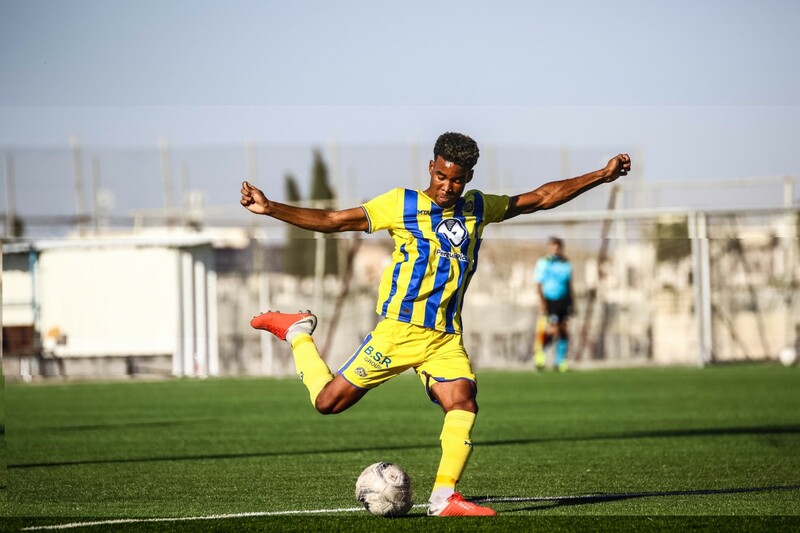 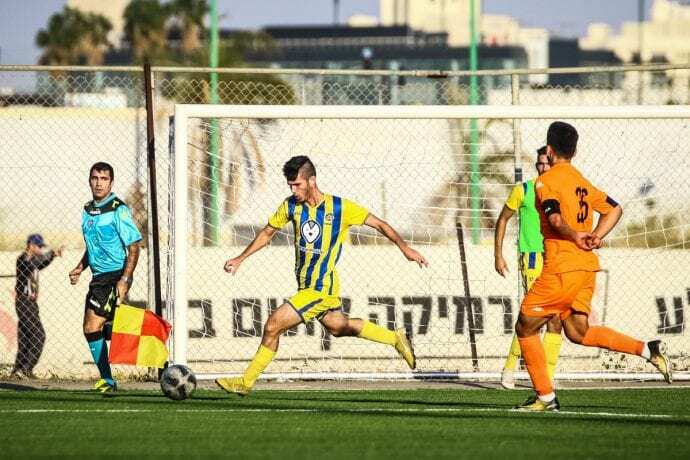 Bnei Yehuda had the contest’s first chance in the 3’ when Netanel Emoyal crossed the ball from the left side to Soro Hassan, but his header went over the bar while the Yellow & Blue had their first opportunity 8 minutes later when Cohen stole the ball, sent it to Guerrero, but his shot went by the post. 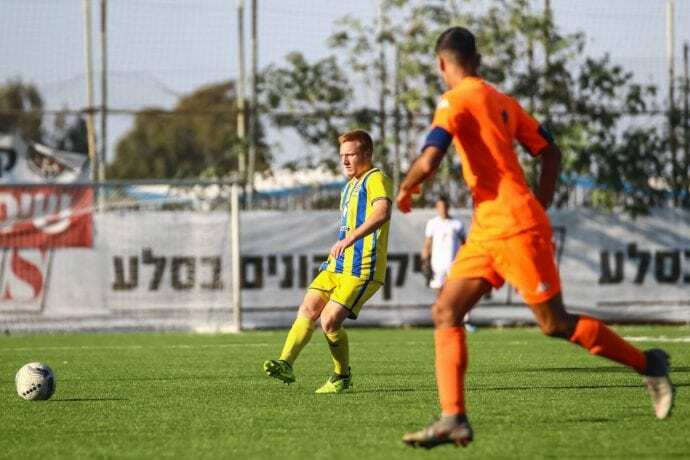 In the 15’ Maccabi almost took the lead when Cohen’s free kick from the right made its way to Hofmayster but his header hit the bar and went out. 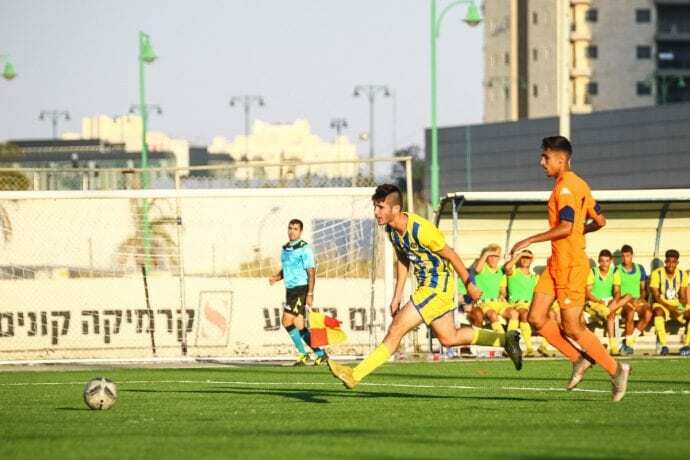 The Yellow & Blue continued to threaten and in the 25’ Amit Glazer’s attempt was saved by the keeper while two minutes later Hofmayster tried his luck from long distance but his shot went over the bar. 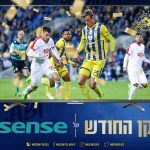 Maccabi continued to apply pressure and in the 37’ Shalata took the ball in the midfield went by a pair of Bnei Yehuda players and took a long shot but keeper Omer Nireon made the stop and two minutes later Hen tried to drill the ball into the far corner but it just missed the target as the scored remained 0:0 at the break. 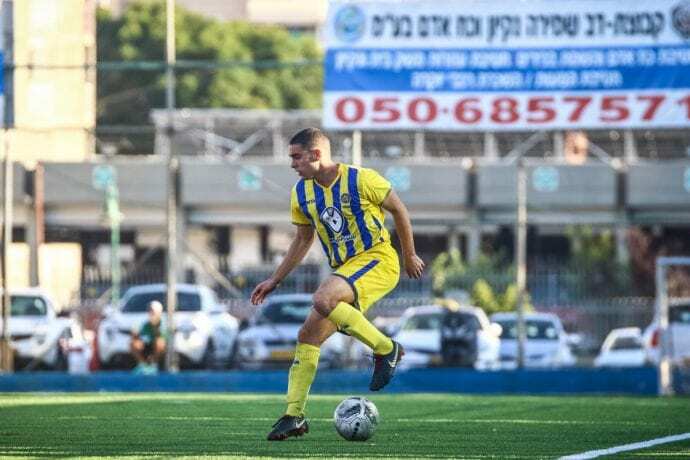 Hofmayster kept the Maccabi pressure up as he found Cohen but the latter’s chance went over the goal while in the 57’ Or Itzhak made the alert free kick save for the Yellow & Blue. 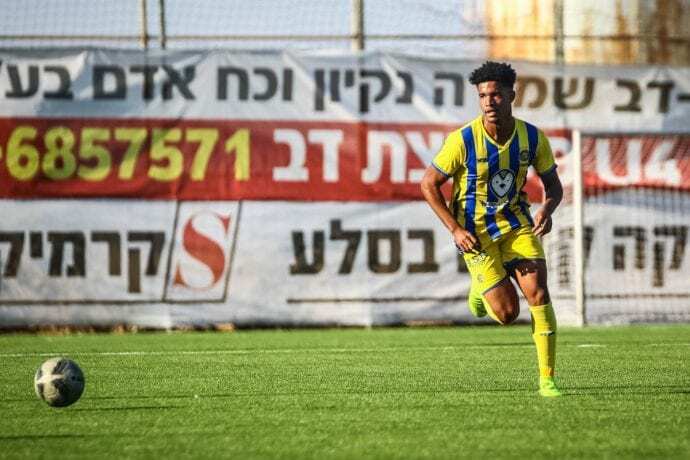 In the 61’ Gil Ben Shalosh who had come on as a substitute had a terrific chance but his shot was saved and a minute later Cohen’s attempt was also saved by Nireon. In the 68’ Ben Shalosh’s opportunity went over the bar but two minutes later Tzarfati’s side would finally break the deadlock. 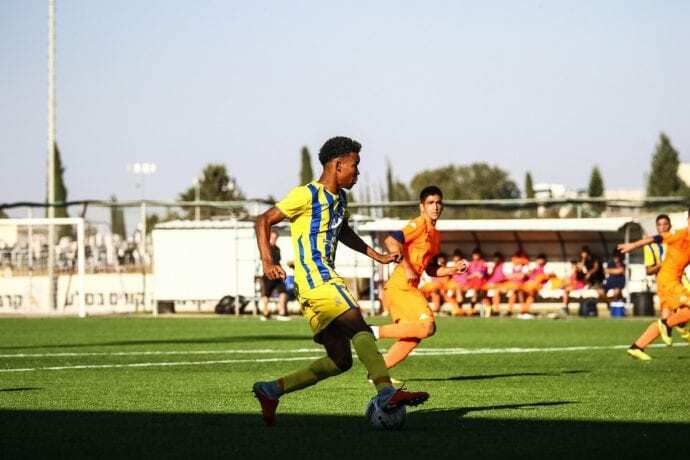 Guerrero’s took a shot from distance that Nireon parried away but Cohen jumped on the rebound and out it home for a 1:0 Maccabi lead. 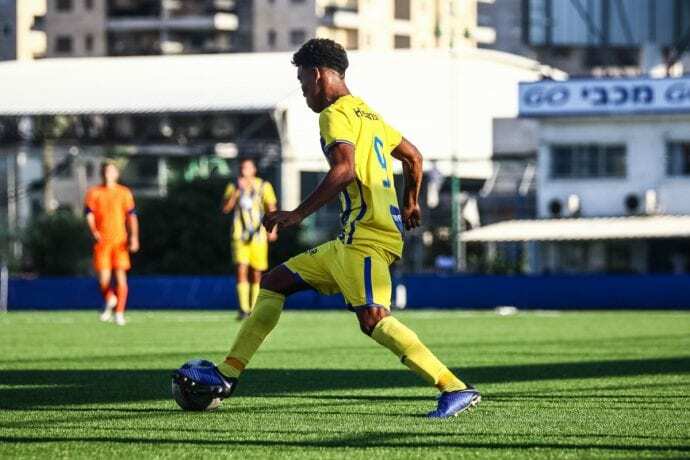 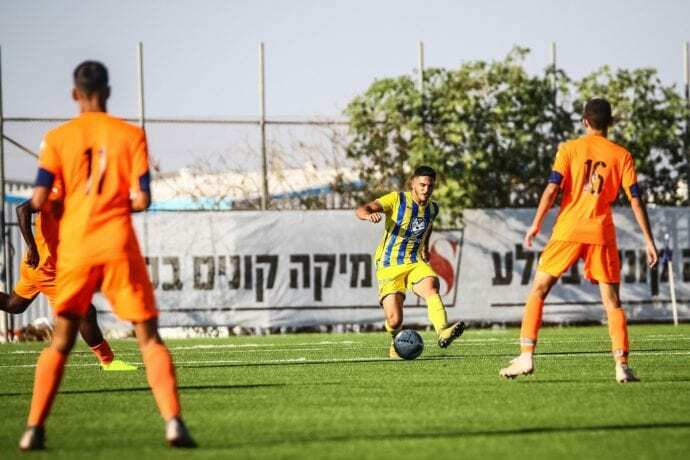 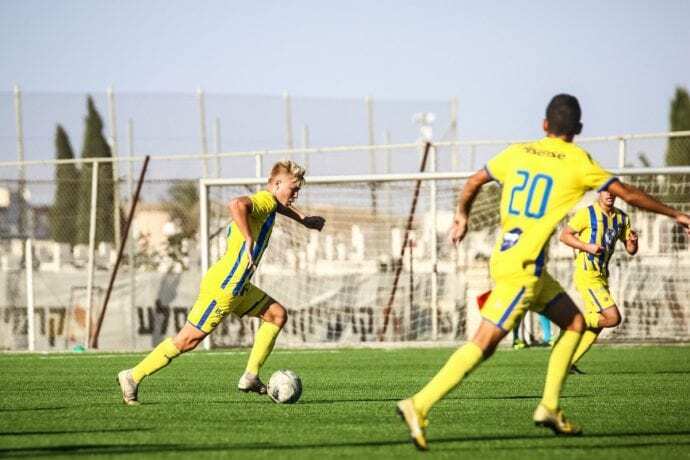 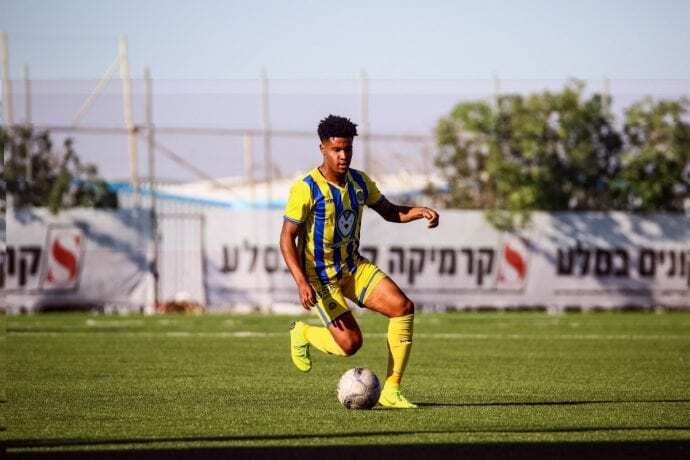 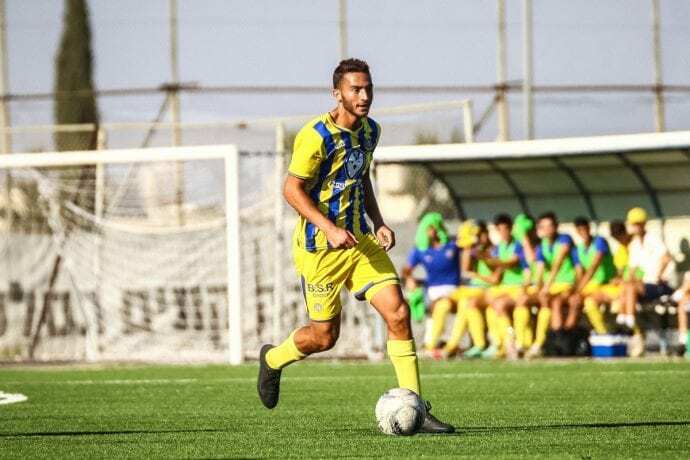 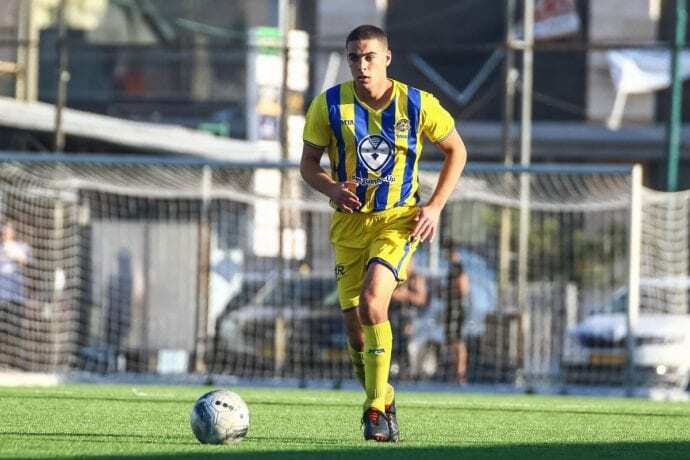 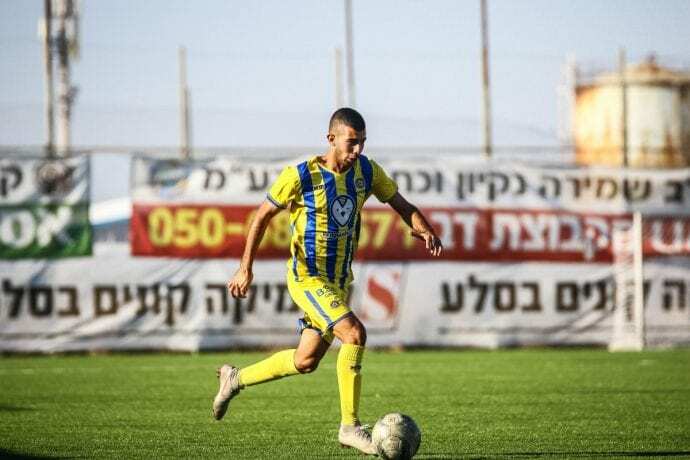 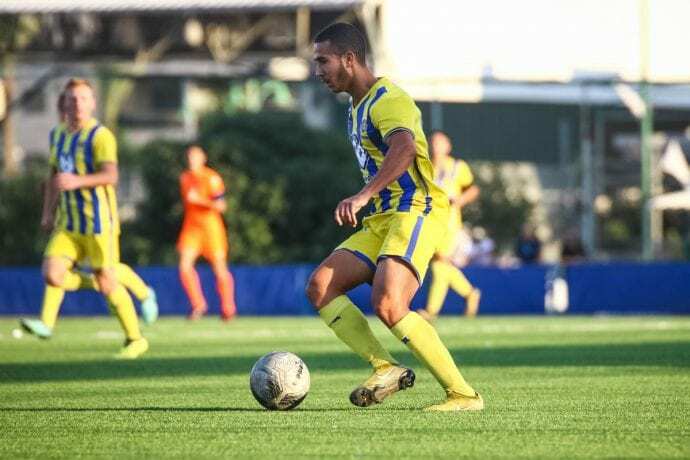 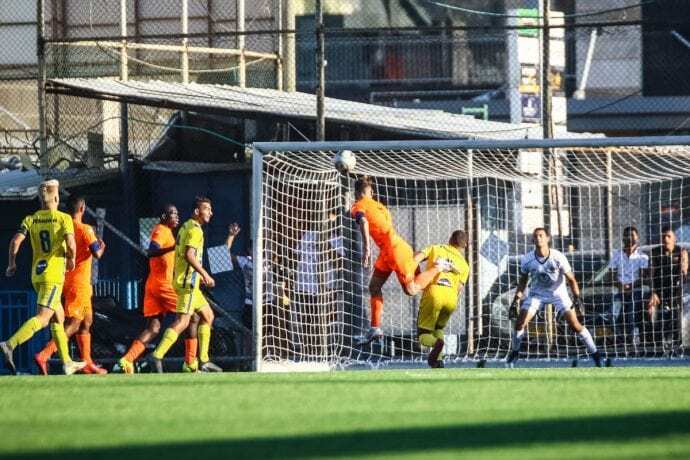 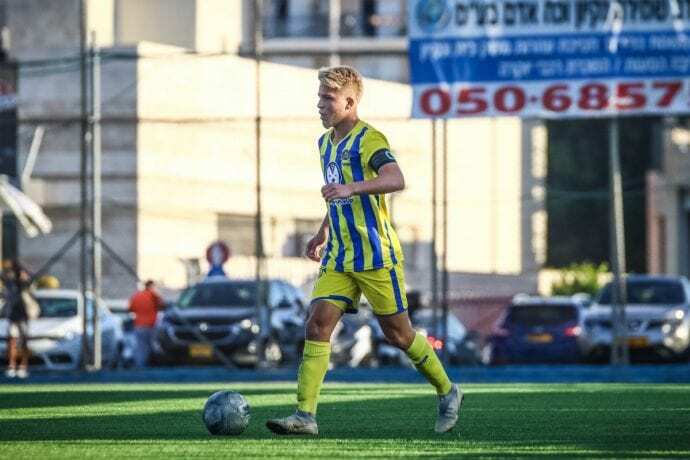 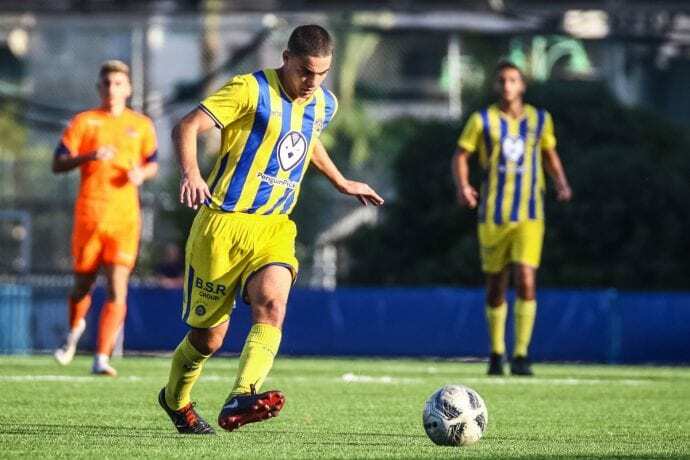 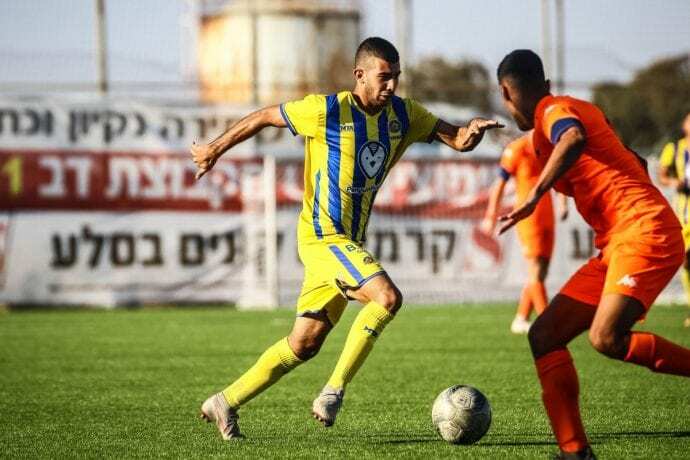 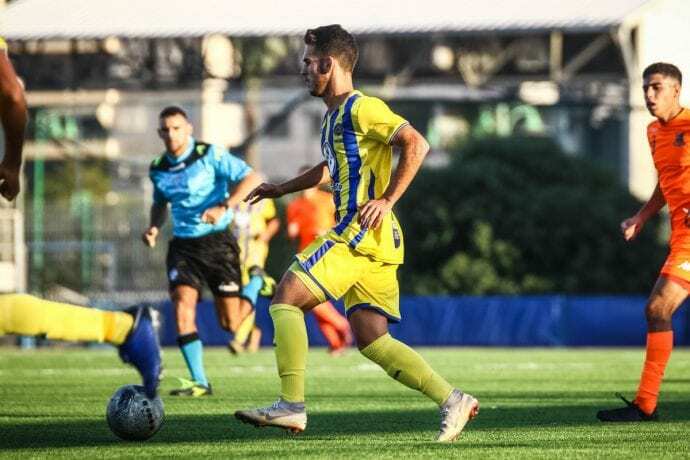 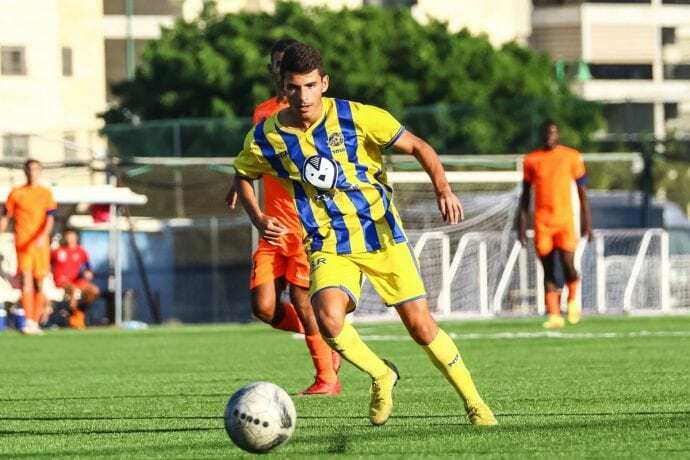 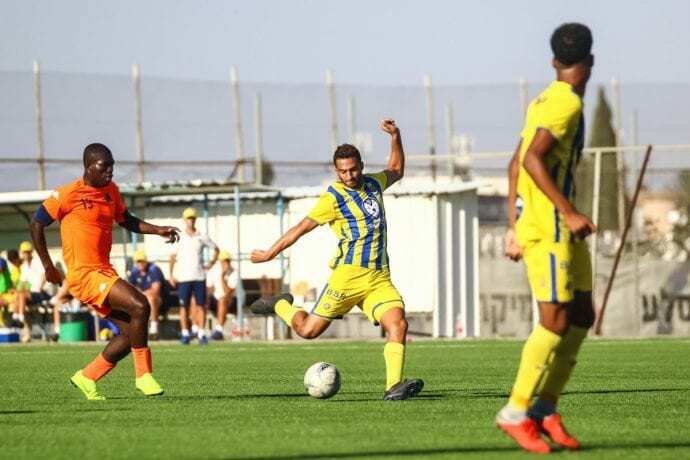 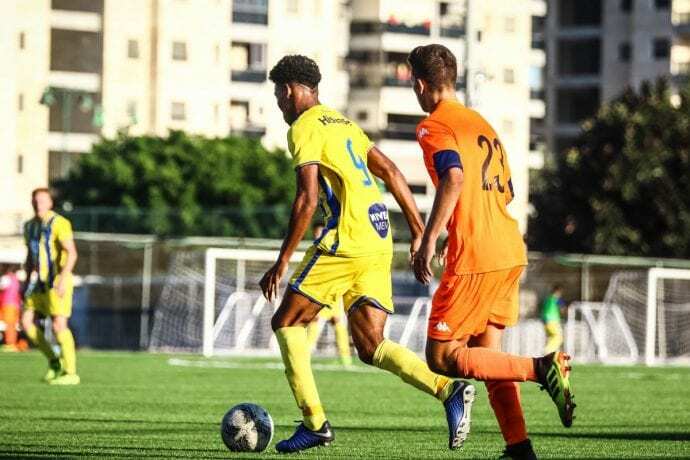 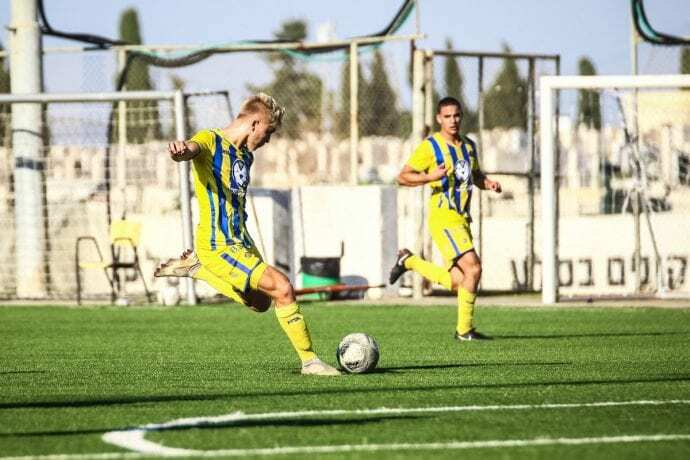 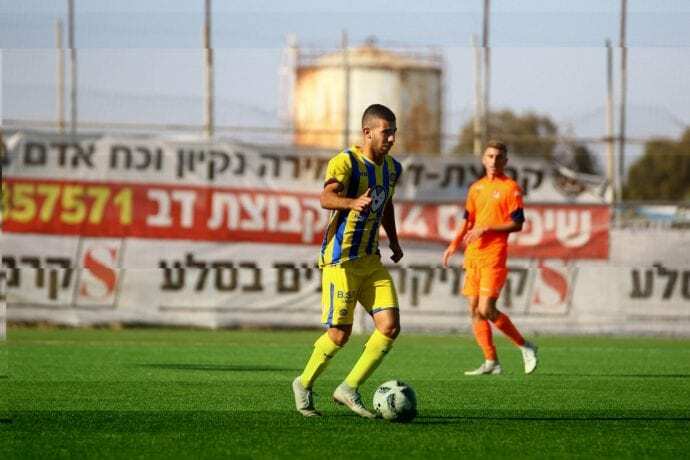 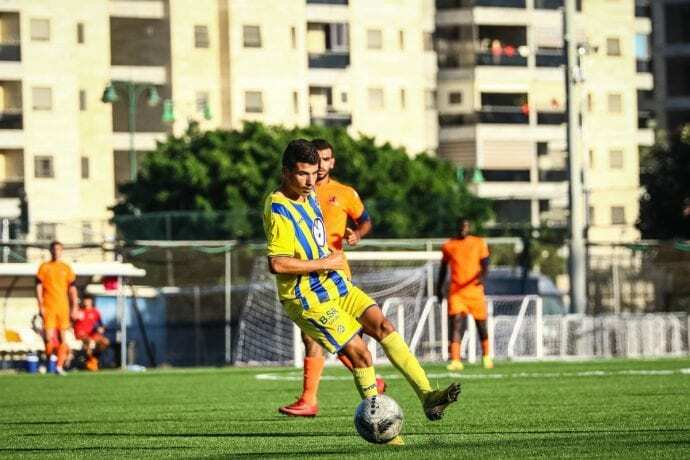 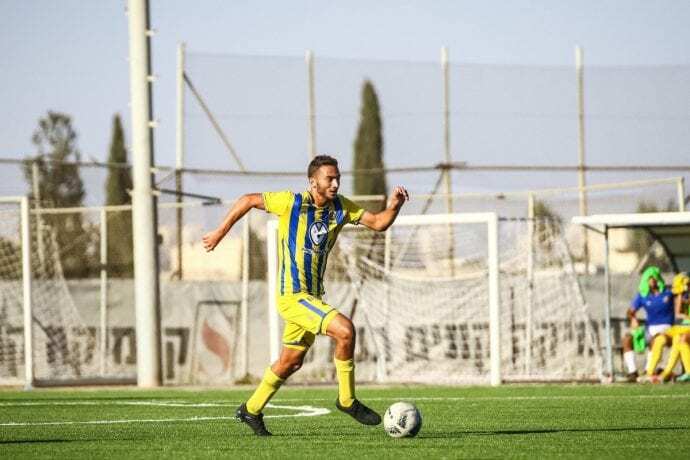 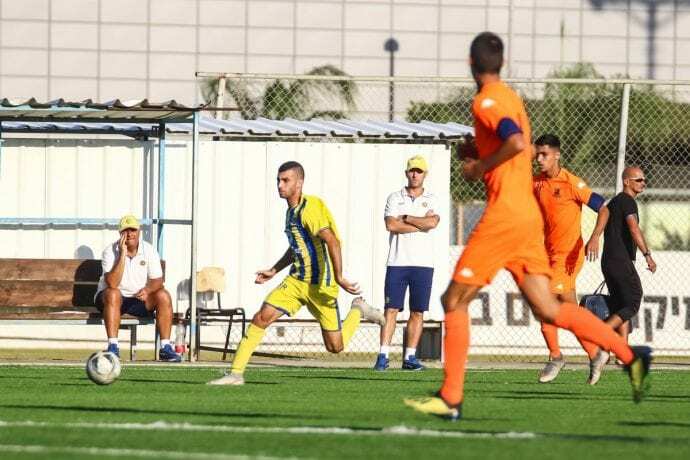 Ten minutes later the Yellow & Blue doubled their advantage when Nadav Nidam who had come on as a substitute crossed the ball into the box but a Bnei Yehuda defender tried to head it back to the keeper but instead found the back of the goal for an own goal and a 2:0 lead. 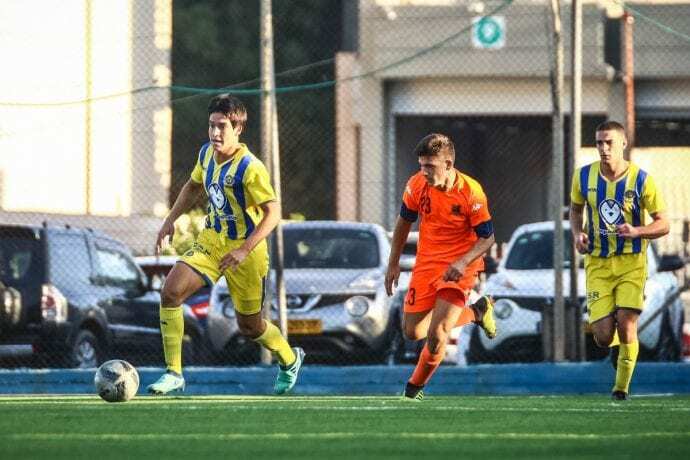 Maccabi continued to control the pace of play and in the 88’ the host’s were handed a red card when Sagiv Cohen went into Omri Ram as the match came to an end with the Yellow & Blue taking home a 2:0 win.